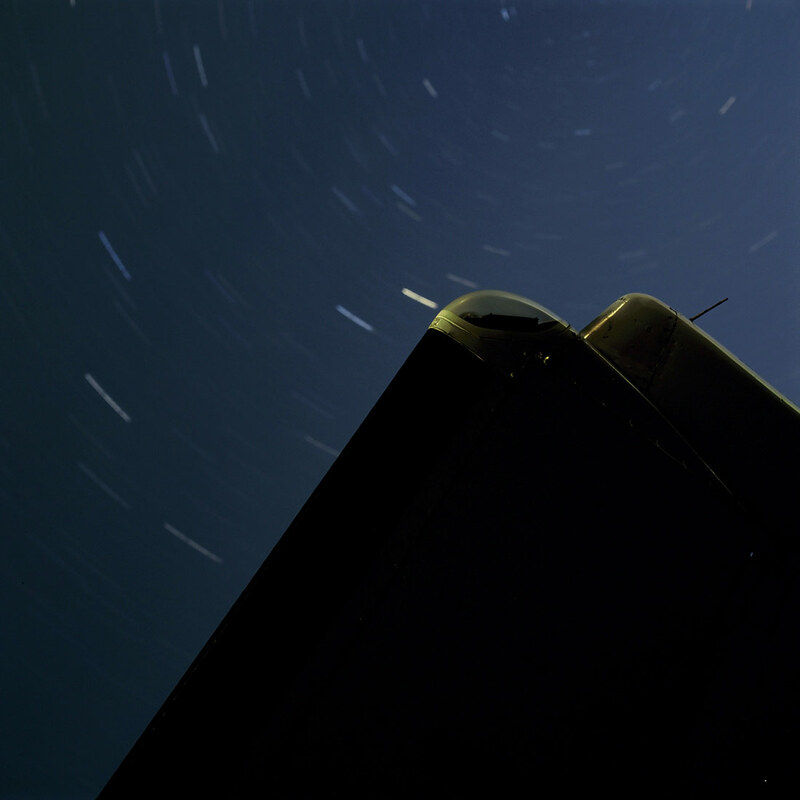 Three analogue photographs present dark abstract shapes set against long exposures of the night sky. Upon closer investigation the shapes are revealed to be details of the wings of an ATR-42 passenger aircraft. The distant background contrasts the immediacy of these man-made objects which reference ideas of modernity and globalisation.